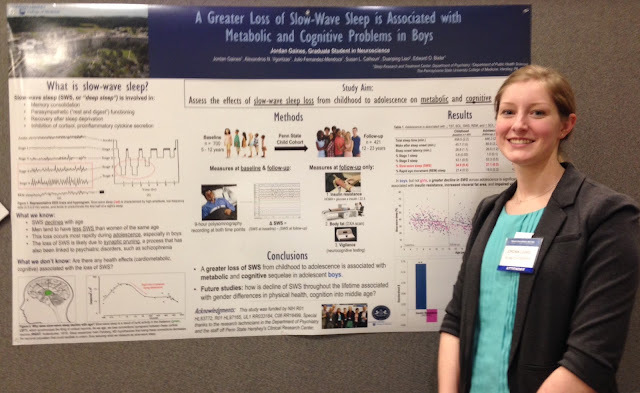 Aaaand that's a wrap on my first-ever AAAS (American Association for the Advancement of Science) meeting! This was the first conference I've ever attended totally by myself, and I enjoyed the freedoms (attending whatever sessions I want to attend!) and challenges (who will I eat dinner with tonight?) that came with it. Being exposed to the greatest minds in ALL fields of science was particularly exhilarating, as was adding to my ever-growing list of Twitter-friends-I-finally-meet-in-real-life! Presenting in the student poster competition on Saturday afternoon. You can read press coverage of this research here. I'd like to extend my deepest gratitude to the society for providing me with the Helen F. Holt Scholarship for Early Career Women in Science, which covered my travel, lodging, and membership with AAAS. The award was presented on Saturday morning at the Women and Minorities breakfast in honor of AAAS CEO Rush Holt's mother, who passed away in July just shy of her 102nd birthday. Helen Froelich Holt was a college science teacher, the first woman to hold statewide office in West Virginia, and a federal housing official and eldercare advocate who helped re-vamp long-term care facilities and nursing homes. I had the pleasure of meeting Dr. Holt briefly on Friday afternoon, and he spoke warmly of how his mother's first AAAS meeting attendance, in 1938, truly validated her standing as a member of the scientific community. I felt exactly the same way this week after attending my first AAAS meeting. I could write a textbook about my experiences — but as I was reminded of the average reader's short attention span at a communication session on Thursday, I'll briefly outline three "takeaway" messages from the meeting! 1. Every scientist should join AAAS and attend a meeting. Dr. Holt said this at the Women and Minorities breakfast on Saturday morning. It took me aback at first — wow, that's a lofty goal. 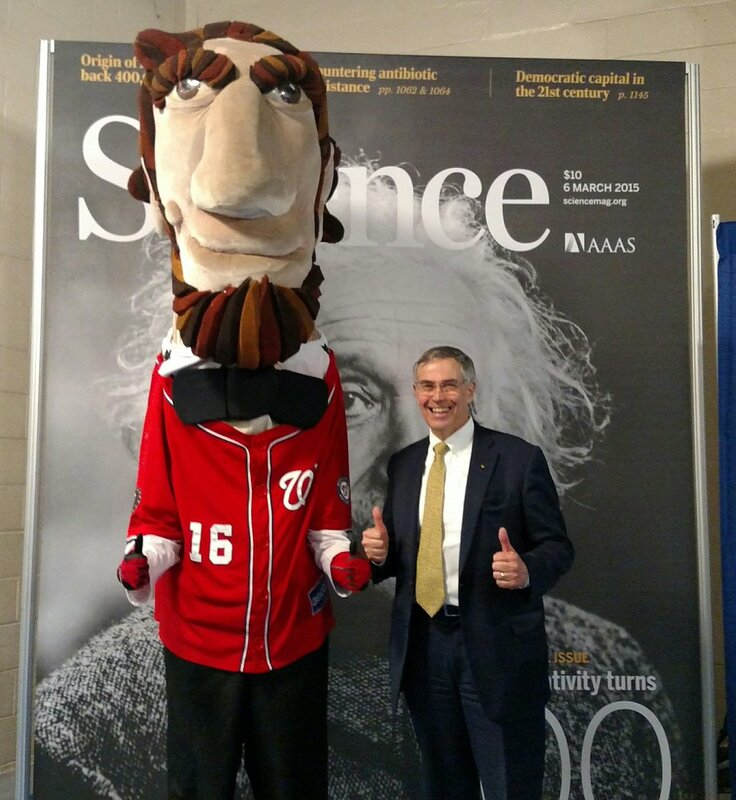 tweeted by @AAASmeetings on Friday! But is it, really? Sure, having every scientist attend the annual meetings might stretch the conference center at the seams a bit. But, realistically, not every scientist will attend every meeting. But I do believe that every scientist should join AAAS. Why do scientists shell out money each year to maintain their membership in scientific societies — for their CV? For journal access? Because they feel like they have to? Scientific societies offer countless resources for everything a scientist needs to be successful outside of the laboratory, including outreach materials, a government relations office that can help you communicate with your legislators, and a membership directory to help you collaborate. Among other things. Look at all of the programs that AAAS offers, for example — they are, no doubt, one of the best resources for scientists (of all disciplines) out there. You're not taking advantage of your societal memberships if you're just deleting their newsletters after a quick skim in your inbox each month. 2. If you don't communicate your science, someone else — someone much less qualified, and who has an agenda — will. Obviously I'm a proponent of taking a few hours aside each month and communicating science with general audiences. (This is my blog's 120th entry, after all.) I've given talks to grad students and faculty across different campuses about why — and how — they can go about taking the leap, and how it doesn't have to be time-consuming or daunting. 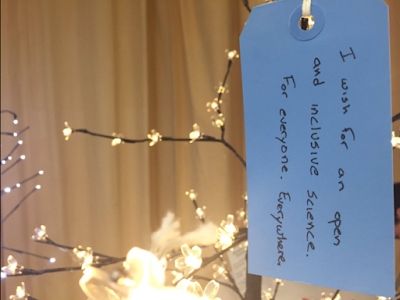 @JohnBorghi's message on the science "wish tree." But despite my preaching, I've also had a (secret) internal struggle with it. Should every scientist really be communicating with the public? Not every scientist is a good communicator. We're not trained to communicate (another good reason to attend AAAS!). The way that this perspective above was shared at a communication session, though, changed my mind. Yes, it is important for all scientists to do their best to communicate their work accurately in any way they are able. You are the expert. Just because you ignore the press's annoying phone calls or e-mails doesn't stop them from writing an article about your research. It just means they're not going to have the chance to clarify their message with you before it's published for — realistically speaking — potentially tens of thousands more people to read than who will actually read your scientific journal article. "...policy-related research without outreach as the academic equivalent of the sound of one hand clapping. 'Scholars may have the best policy intentions and important research, but our results suggest that decision-makers are unlikely to listen without meaningful engagement of them and various stakeholders,' lead author Stephen Posner says." 3. 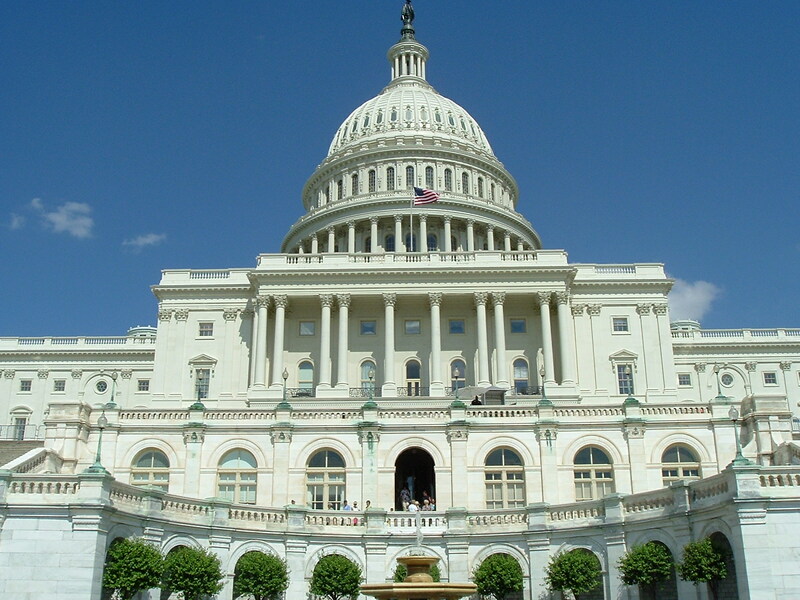 Your legislators serve you and your science, and there are many ways to reach them. I attended an ESEP (Engaging Scientists and Engineers in Policy) forum on Thursday, and the panelists took turns listing ways that you can reach your legislators today. Go to Washington! Or your state capital! Personally, I attend Capitol Hill Day with the Society for Neuroscience in March (another way I take advantage of my scientific societies!). SfN trains us in our "elevator speeches," then organizes a day where we visit our members of Congress to tell them what we do, thank them for their support, and let them know how continued, steady research funding benefits society. Write them. Your representatives' contact information should be obvious on their website. Again, scientific societies can help you draft letters or offer simple fill-in-the-blank templates to do this. Bring your legislator to your lab! Few will take you up on this offer, but when they do, it's an incredibly effective way to show why what you do is important. Most importantly, it demonstrates how science is done, and who is behind it. Attend town hall meetings. 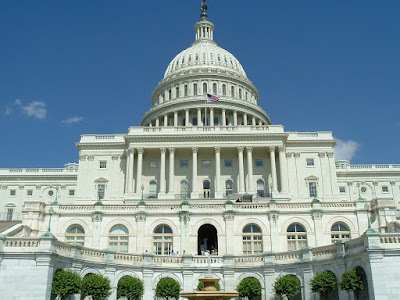 Here you'll not only reach your representatives, but also members of your community. VOTE! 'Nuff said. You don't have a voice if you don't vote. If you wish you could have attended the meeting but didn't get a chance, spend a few minutes scrolling through the #AAASmtg hashtag on Twitter; so many people were tweeting that it'll almost be like you were there! And if anyone wants to hear more about my experiences, feel free to tweet or e-mail me. 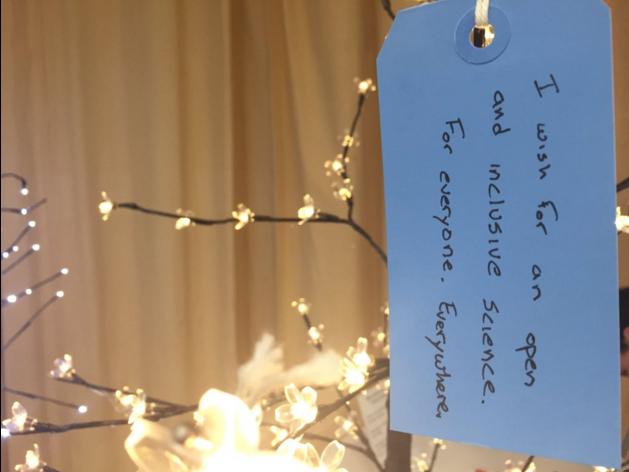 I hope I can attend again next year — especially as science policy will be the central theme!